If you would have told me at the beginning of the week that the company who was making the biggest splashes in tech would be Nike, I would have told you that you’re nuts. However, that’s exactly what has happened this week. Yesterday, Path announced that it would be opening its API with Nike as its first partner. The integration will allow Nike+ and Nike FuelBand users to update their Path stream with information about their runs using the app and device. It was huge news for both companies. Upping the anti by ten-fold, we’ve been told exclusively by the host of SXSW’s Managers Hack, Backplane, that Nike will be joining the music-focused hackathon in a huge way. 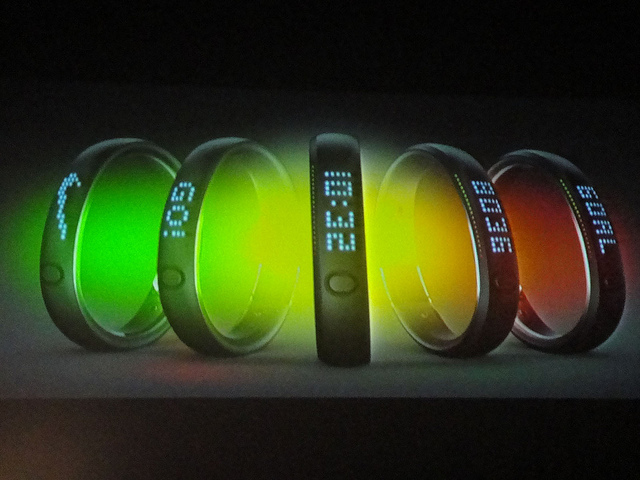 Nike will be joining the Managers Hack to open up a BETA version of the NikeFuel API for the first time to developers interested in combining music with the Nike+ FuelBand. The Nike+ FuelBand, in a nutshell, is a wristband that tracks and measures every movement you make. It’s also Nike’s attempt to expand its reach beyond the serious runners and keep-fit freaks, and into the realm of everyday activities. The Managers Hack is taking place this Sunday in Austin during the SXSW conference. Developers can still sign up for the waitlist in case any openings pop up. The API will only be available to developers attending the hackathon at first, which makes the event even more interesting. The hackathon, which I think is a fantastic use of time during the SXSW festivities, features involvement from companies like GUNNAR Optiks, Pandora, Spotify, Sonos, SoundHound, NASDAQ, Intel, The Raptor Group, and Contour. Judges of the hackathon are music industry moguls like Troy Carter, Scooter Braun, and Jay Brown and company representatives of Spotify, Pandora, Nike, and SoundHound. Nike feels like its mission to fuse music and exercise is best served by developers who are up on all of the latest technology, so opening its FuelBand API during the event makes complete sense for the company. The marketing approach for the device so far has hugely focused on social media, utilizing the hashtag #counts on Twitter and Instagram. So there you have it, Nike has had the best week ever in the tech space. Consider my mind blown.